Ample's founder explains why he took an investment opportunity right to his consumers. Sure, it has no artificial ingredients, but what’s more unusual about it is that it has a tremendous focus on improving gut health, insulin sensitivity, and inflammation. So while a lot of meal replacement shakes are closer to whey protein shakes with some added vitamins and minerals, Ample’s formula leans more on probiotic bacteria, organic greens like wheatgrass and barely grass, and unusually balanced macronutrients: it’s roughly equal in protein, carbs, and fats, plus it provides a good hit of fiber per serving, all of which can help to minimize blood spikes and keep you fuller for longer. The company has carved a niche for itself in the industry and after a successful first four years, it’s time to expand. 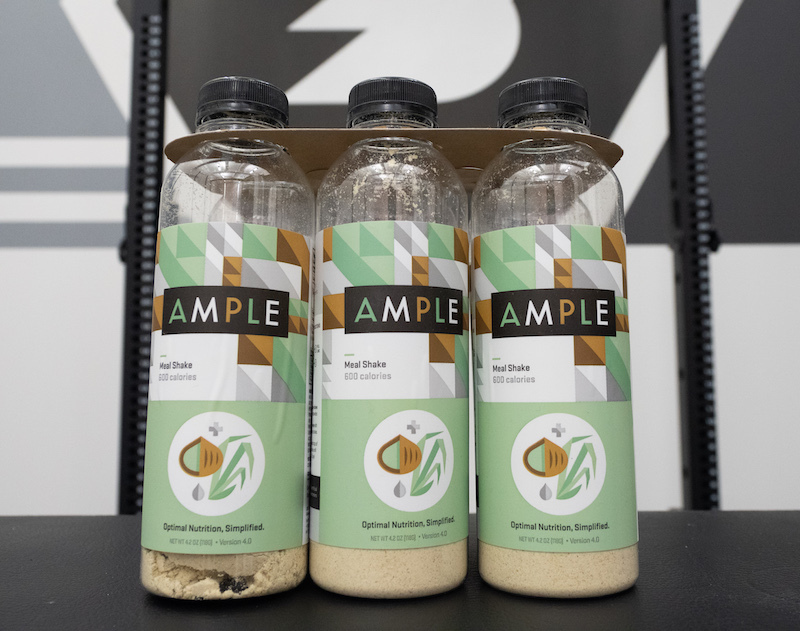 And while most companies would turn to professional investors or maybe try to get on Shark Tank, Ample has decided to launch a crowdfunding campaign so that their fans can get in on the action and own a piece of the company. BarBend sat down with CEO Connor Young to learn a little more. BarBend: So, why go with crowdfunding? 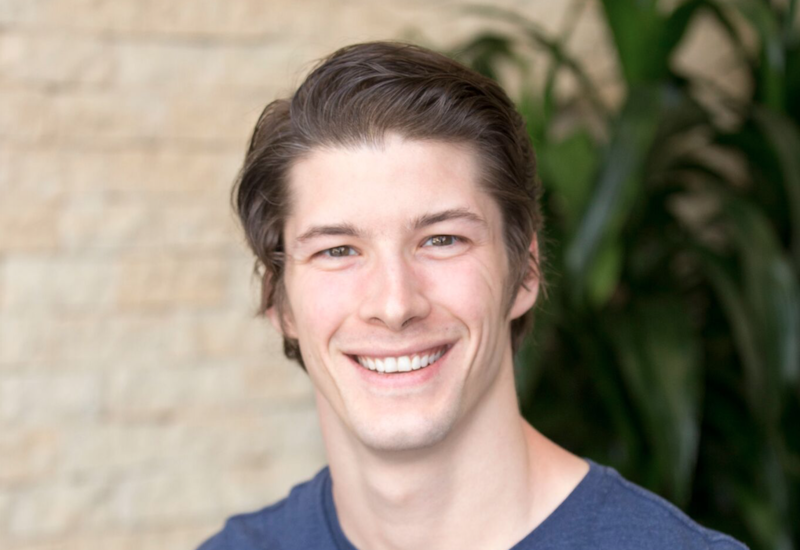 Connor Young: Ample’s growing fast, and now we have an opportunity to scale beyond a small food company into something that’s really meaningful in the food industry. That requires capital, and so we knew we needed to do a fundraising round to give us the resources we needed. But why equity crowdfunding campaign? The answer to that question is Ample has always been about community to me. We launched our company on an Indiegogo campaign and within a month became the number 1 Food & Beverage campaign of its time. So for me, since that whole thing happened, we’ve always tried to keep our community first and foremost in our minds. This seems like both an opportunity to engage our community, because I personally believe investing in Ample is a really exciting financial opportunity — it’s by no means a slam dunk, there are risks to investing in anything — however I feel like providing that opportunity to our fantastic community that has supported us so well in the past is both the best thing we can do and the most ethical thing to do. BarBend: Your goal is to raise between $25,000 — which you’ve already exceeded — and $1,070,000. How will that cash impact the company’s future? We have a very aggressive growth strategy and that involves both distribution of Ample as well as new products. First of all, on the distribution side of things, we have the opportunity this year to get into retail. We also have the opportunity to expand into a number of different channels. For example, we just started on Amazon and we’ve been growing over 150% month over month on that channel. So we’re growing very quickly and we need the resources to really execute on those channels well. Finally on the marketing side of things, our vision and our goal is to not just make Ample a product but also to make Ample both a community as well as a content platform. In the sense that we help people from a product level and in the sense we help people to lead healthier lives, but also educate people outside the context of just buying Ample. BarBend: So you’re getting involved in educational health content? What will that look like? So for starters, we’re going to be restarting our podcast and basically interview really good thought leaders in nutrition and health. My vision for Ample is to be kind of a nexus for health knowledge. We’re never going to be the experts, but what we can do is help simplify the advice from experts into ways that your regular health conscious busy people can integrate into their lives quickly and seamlessly. So that’s what I want Ample to be able to do on an information level rather than just on a product level. BarBend: We hear there will be new flavors coming out as well? On the product development level, the fundraising will help us accelerate time to market for the additional flavors to come out, like Chocolate and Coffee, and also different forms of Ample. 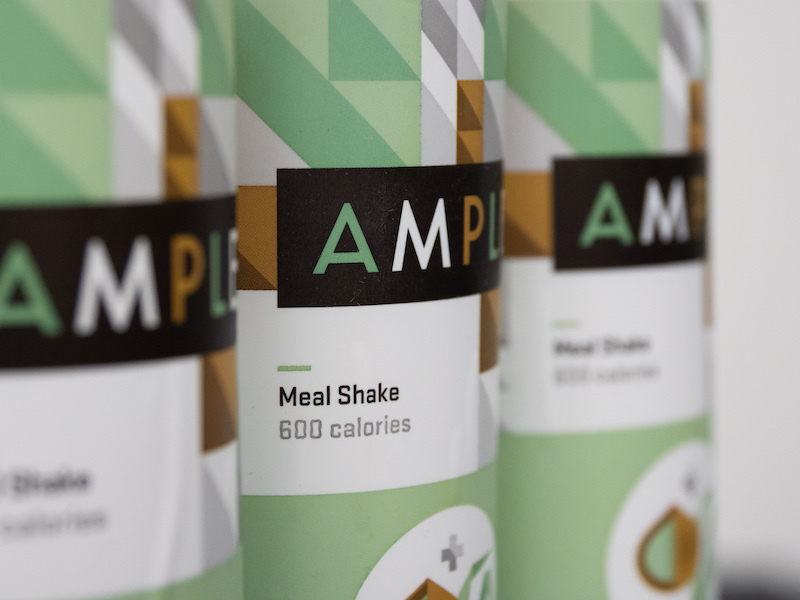 We’re already working on a bulk, scoopable version of Ample, which will happen around the same timeline, as well as a ready to drink product. We’re toying with a lot of other ideas, we’ve gotten ideas for everything from single serve pouches to bars. I’m leaning against bars. I just think that market is very saturated and the nature of bars necessitates that they have more sugar, because sugar is a binding agent and it helps them to stay solid. So we’re probably not going to go down that road, at least for the time being. BarBend: Are there any cool rewards for people who invest? Totally 100%. We have custom t-shirts, custom athletic bags, we’ll have hoodies for people who put in a little more money, so those will all be available. And they’re going to be customs, you won’t be able to purchase them by yourself on the website, you can only receive them for investing in the campaign. See where Ample landed on our list of the best meal replacements of 2019! BarBend: Where do you see the meal replacement industry going in the next 5 years? 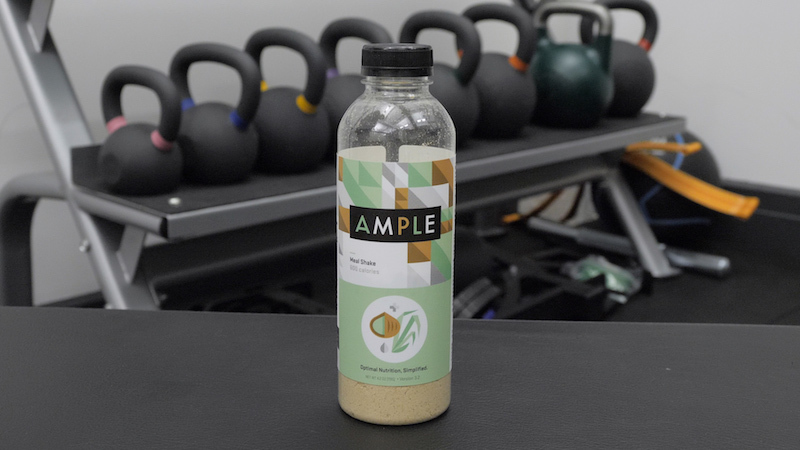 I will say, first of all, one of the big reasons I started Ample was because I felt like the meal replacement industry, on its current trajectory, was not headed in the right direction. And if you think about meal replacements, they actually have quite a stigma to them: there’s a lot of negative connotations around meal replacements. And honestly, it’s for good reason! The vast majority of products in the meal replacement category have been made really poorly, in my opinion. Low quality ingredients, not as thoughtful macronutrients, plus they’re not even real meals — they’re 150 calories or 200 calories that aren’t even meant to fill you up. So I wanted to create a product centric company, and by that I mean we’re not going to put window dressing on a product that’s inherently unhealthy. We want to make the healthiest product, with more real food ingredients, and very thoughtful macronutrient ratios, and have the marketing stem from the inherent goodness of the product. Now, where I see the meal replacement market currently going is the same direction it has been. But I feel like there’s a huge opportunity in the healthy meal replacement category, which is where the market is going in general: people are more health conscious than ever and they’re only going to get more health conscious as the decades pass. And the ability, from the scientific standpoint, to use food science to make really high quality products, is also improving. So there will be less and less of an excuse to be an unhealthy product as years go by. I want to lead that charge and help us be the first really high quality healthy meal replacement. Check out Ample’s crowdfunding campaign here.